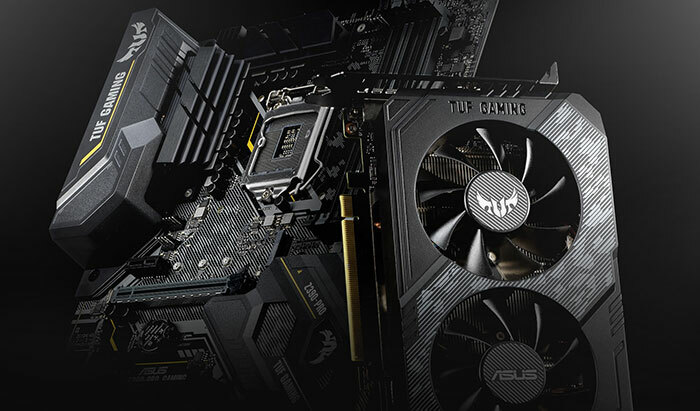 Asus has extended its TUF Gaming range to include graphics cards. 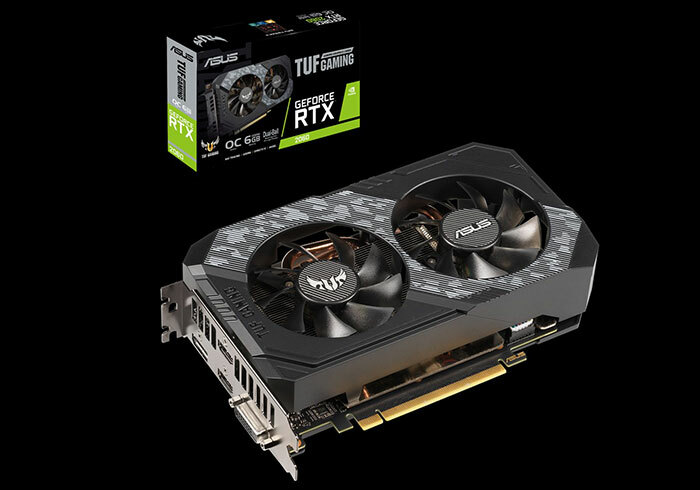 The pioneering SKUs, created with its signature TUF treatment, are the TUF-RTX2060-6G-Gaming, also known as the Asus TUF GeForce RTX 2060 6GB GDDR6. For an extra shot of speed, you can choose the TUF-RTX2060-O6G-Gaming, or Asus TUF GeForce RTX 20606GB GDDR6 OC Edition. If you can't recall what being a TUF product entails, it is one with; a distinct military style camo appearance, that has undergone TUF compatibility testing, includes IP5X dust resistance, and eschews frills such as RGB lighting. The whole TUF brand communicates a certain rugged durability, and this compact card with 'solid backplate' has undergone 144hr validation. Furthermore, like many Asus PC components, the Asus TUF GeForce RTX 2060 has been built with Asus Auto Extreme technology "precision automated manufacturing," which is claimed to produce "a more reliable product overall". Moving along from the product family concept to item specifics, the first TUF graphics card is a compact affair at 20.4cm long, but is rather thick at 4.6cm. The cooler equipped includes dual ball-bearing fans, which are again called out for their durability (compared to sleeve bearings, for example). Asus claims that the way it connects the backplate directly to the cooling shroud gives this TUF-guy a particular strength. 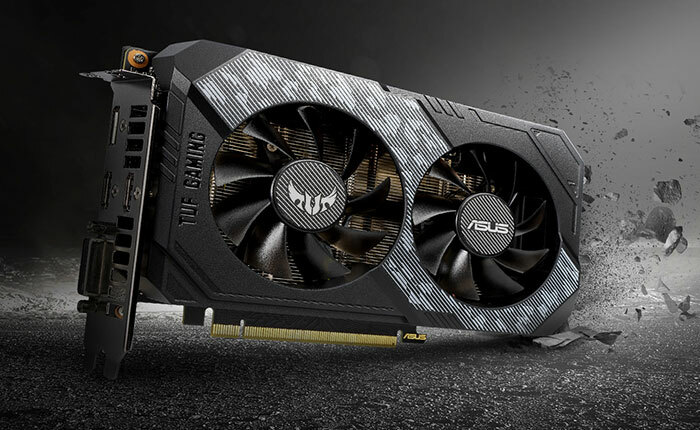 The GPU in the Asus TUF GeForce RTX 2060 offers a 1,365MHz base clock just like the Nvidia GeForce RTX 2060 Founders Edition. However, the TUF-RTX2060-6G-Gaming BIOS switchable has a choice of boost clocks; a 1,689MHz boost clock in Gaming Mode and a 1,710MHz boost clock in OC Mode. 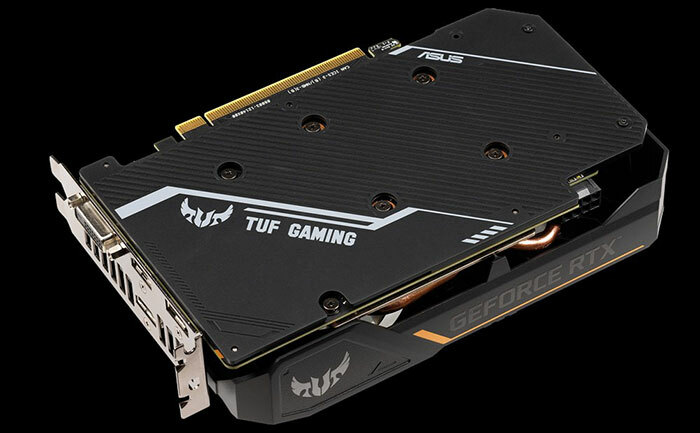 Asus has also created an overclocked version of this card, the TUF-RTX2060-O6G-Gaming, or Asus TUF GeForce RTX 2060 OC Edition, which boasts a 1,710MHz boost clock in Gaming Mode and 1,740MHz boost clock in OC Mode. It is recommended that your PC have a 500W PSU to power one of these cards (via single 8-pin connector) alongside your other components. Ports available include; DVI-D x1, HDMI 2.0b x2, SP 1.4 x1. Not that many board partners include a DVI-D option, so some might find this appealing.